A new police inquiry is to take place into the death of a teenager found dead at his school in Cleethorpes. 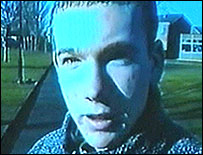 Bradley Parkin, 17, was found hanged behind the stage at the town's Lindsey Upper School in February 2000. A coroner recorded an open verdict. Humberside Police have now appointed a special team to look at new evidence from Mrs Parkin. She has always questioned whether Bradley hanged himself with the rope found at the scene. "We've had a reconstruction into Bradley's death, and from that reconstruction we've already had, Bradley's feet are still on the chest of drawers after death," she told BBC News. Mrs Parkin added that she would rather the fresh inquiry was conducted by another police force. Bradley's body was found by a school caretaker shortly before a parents' evening. The teenager was described as a talented actor and was studying for A-levels in drama and performing arts. A Humberside Police spokeswoman said the inquiry team would be headed by Det Supt Colin Andrews and would look at the fresh evidence offered by Mrs Parkin. "The team will also consider any other matters Mrs Parkin may wish to raise and will be speaking to the original inquiry team," she said.